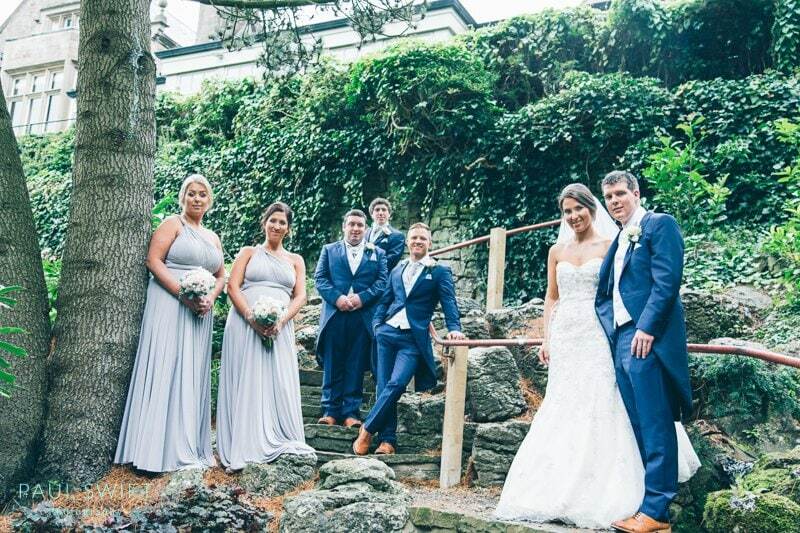 Today’s blog comes from St Peter’s Stonyhurst Church and Mitton Hall where Yvonne and Martin chose to tie the knot and then celebrate in style. The history of this Church is part of the famous college on the ground of which it stands; Stoneyhurst College. From 1794 the College, along with the local parish used small chapels before the current church was completed in 1832. The new church took inspiration from the King’s College Chapel of Cambridge. Mitton Hall or to give its original name, Little Mitton Hall has history predating that of the church by some margin – the 1480’s, though it was not the first house on the site. Until 1974 the River Ribble close by was the boundary between Lancashire and Yorkshire where on the Yorkshire side is Great Mitton Hall. It was only after 1974 that the boundary changed and both sides of the river became part of Lancashire and the name of the hall changed to ‘Mitton Hall’. 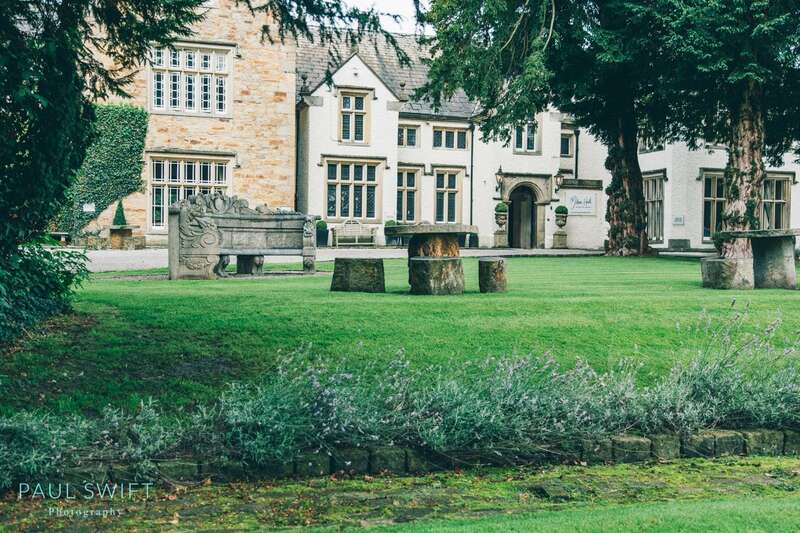 The history of Mitton Hall and the site dates way back previous to the 12th century and there is a fabulous webpage with a lot of this history detailed. I’ve linked this at the bottom. 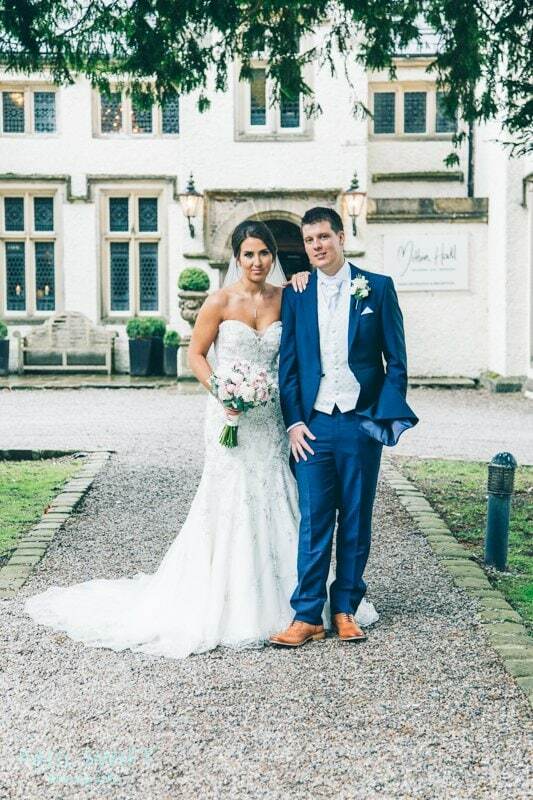 Mitton Hall has long been a favourite venue of mine, not least because of its beautiful setting but also because the staff are so welcoming. Emma, Mitton Hall’s function Manger looked after Yvonne and Martin all day, ensuring that everything ran smoothly from start to finish. Emma’s attention to detail never faltered and she provided the kind of expert care you would expect for your special day. Yvonne and Martin’s wedding was on the 7th September and the day started with Yvonne, her mum, her two bridesmaids (both sisters) and her young flower girl at Mitton Hall where they all got ready. 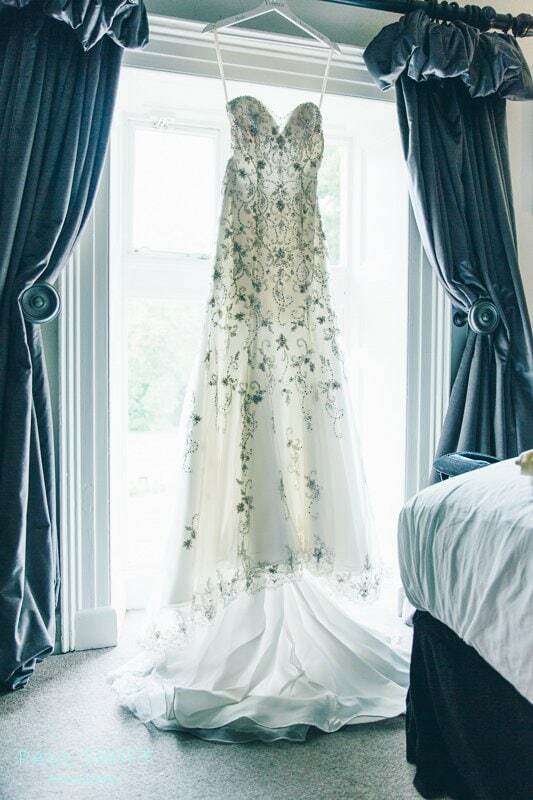 Yvonne chose her stunning Morilee gown from Amelia’s Bridal in Clitheroe. Amelia’s Bridal have two boutiques, one in Clitheroe as mentioned and the other in Skipton. You can’t really go wrong looking for your dress here as they stock so many gorgeous gown’s from many leading designers. Not only that, but all bridal wear is taken care of here including suits. This is exactly were Martin and his groomsmen hired theirs from. The bridemaides dresses came from The Onlyway Dress. Amazing dresses in one size fit all which can be worn how you want. The fabulous bouquets and centre pieces were lovingly put together by the fantastic Jane of Flower Design who is based in Lytham St Annes. 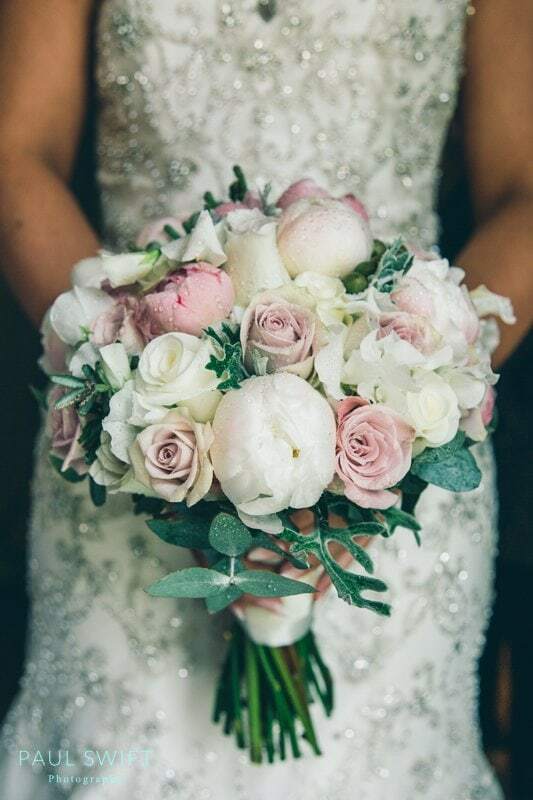 Jane is an amazing lady whose knowledge of flowers is second to none, but it’s not just that, her attention to detail and personal touch are what separates Flower Design from anyone else. 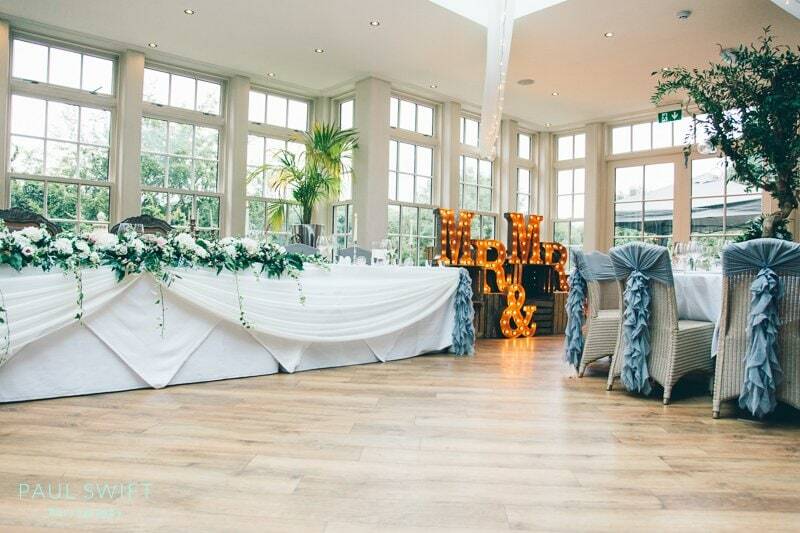 Jane arrived at Mitton Hall to set up the centre pieces and to meet Yvonne to ensure that everything was just perfect for her special day. 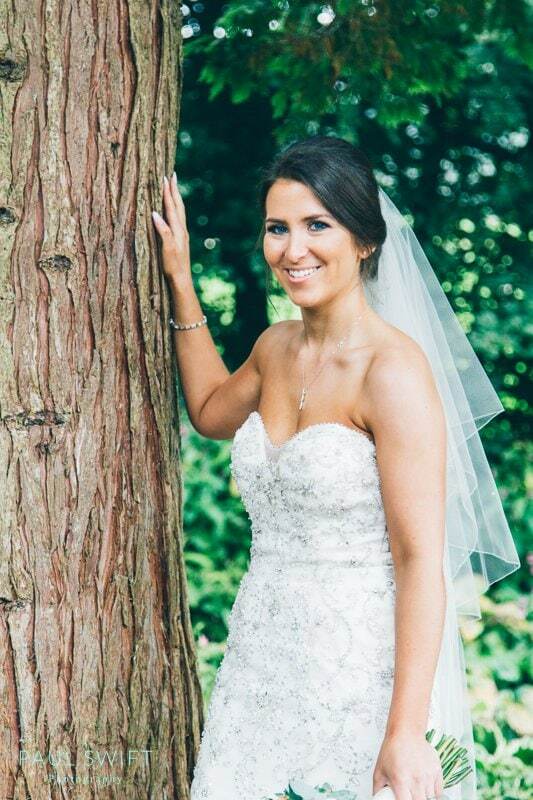 Yvonne had chosen Flossy & Leigh Bridal Hair and Makeup Company to take care of the hair and makeup for herself and bridal party. I think you’ll agree both hair and makeup look absolutely stunning. 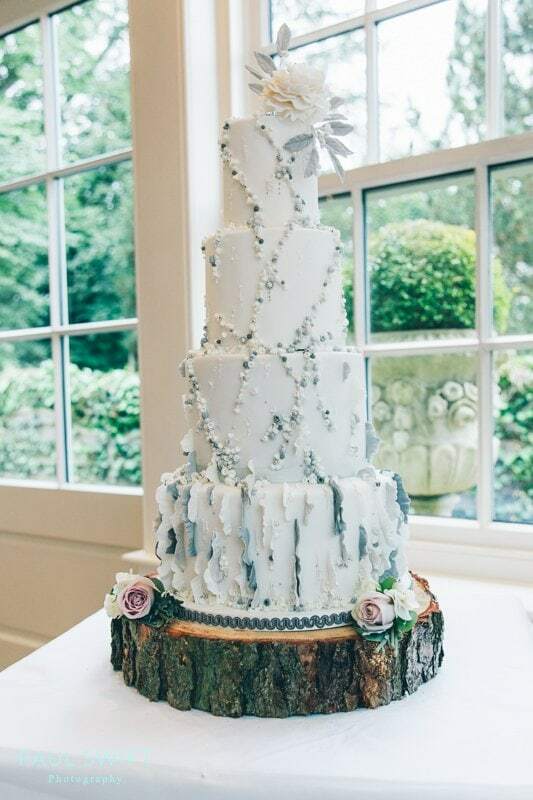 The gorgeous cake was created by Maria Dobson, a stunning 4 tier which I am told not only looked magnificent but tasted just as good. Martin is an award winning cake baker and Maria certainly impressed – high praise indeed. During the breakfast and into the evening, the entertainment was supplied by Paul Guard. 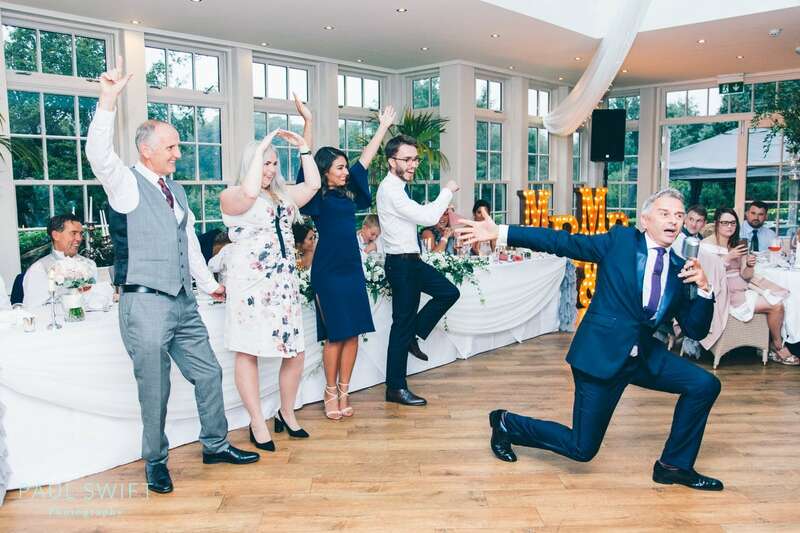 Paul is an amazing singer and entertainer, he has guests dancing, laughing and joining in all through the party. For the evening entertainment, Deano of DFC Lancashire provided music throughout the evening and into the night. There are still many more suppliers who provided a lot of help to ensure Yvonne and Martin’s day was all they dreamt it would be. All throughout the day I had the wonderful company of Sara and Tony of Marry Me Films, who captured and created a beautiful film for Yvonne and Martin to remember their day forever. Brides Little Helper are just that. They’re here to help you have the most perfect day. Whatever your needs, they can help. Creative Chair Cover – provide more than chair covers, these wonderful people are venue dressers who, I think you’ll agree, did an amazing job for Yvonne and Martin. Click here to see the gallery of Yvonne and Martin’s wedding.